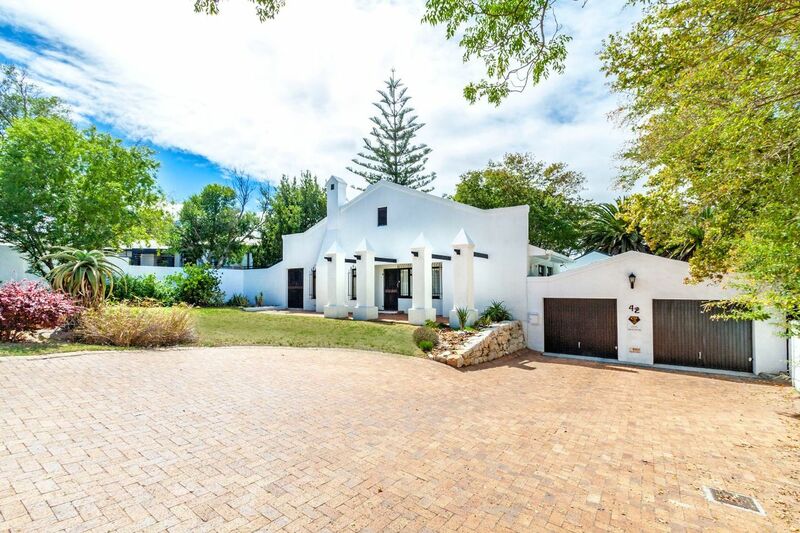 Sign up and receive Property Email Alerts of Houses for sale in Heldervue, Somerset West. A SPECIAL FAMILY HOME IN A BEAUTIFUL SETTING PLUS A FLAT. Grab the chance to own a one-of-a-kind property in Heldervue. This spacious split-level farmstyle home set in treed grounds on one of the largest Erven in Heldervue offers living possibilities to suit a variety of needs. Enjoy relaxing and entertaining on the expansive deck in your own nature garden where trees, aloes, succulents, fynbos, squirrel and an array of bird species create a special haven of peace. The tastefully designed adjoining flat with its own entrance can be a home office, a gran and grandpa flat, teen pad, Airbnb, an income generating flat, or an extended part of the house giving an additional bedroom, living room, en-suite bathroom (shower), and an open plan kitchen. The utility room below the terrace of the flat is fitted out as a laundry and lends itself to multiple uses. The huge well-constructed garage with space for 4 medium cars and shelving to store tools and equipment is ideally suited as a workshop or private gym. Additional garage door allows for access from the garage to the backyard and when open, lets in air and light and offers a view of the back garden. This is perfect for wanting to drive cars or trailers through to the backyard. The property offers the solid construction of yesteryear with well-designed renovations that make it a home for today’s comfort. At this unbeatable price, make this gem your home today! Situated in the popular Heldervue area, this property offers easy access onto main routes such as the N2, R102, R44 and other main routes in the area. Situated a stone’s throw from a Kwik Spar Convenient Shopping Centre, Waterstone Shopping Centre, Virgin Active as well as Somerset Mall. Sign-up and receive Property Email Alerts of Houses for sale in Heldervue, Somerset West.